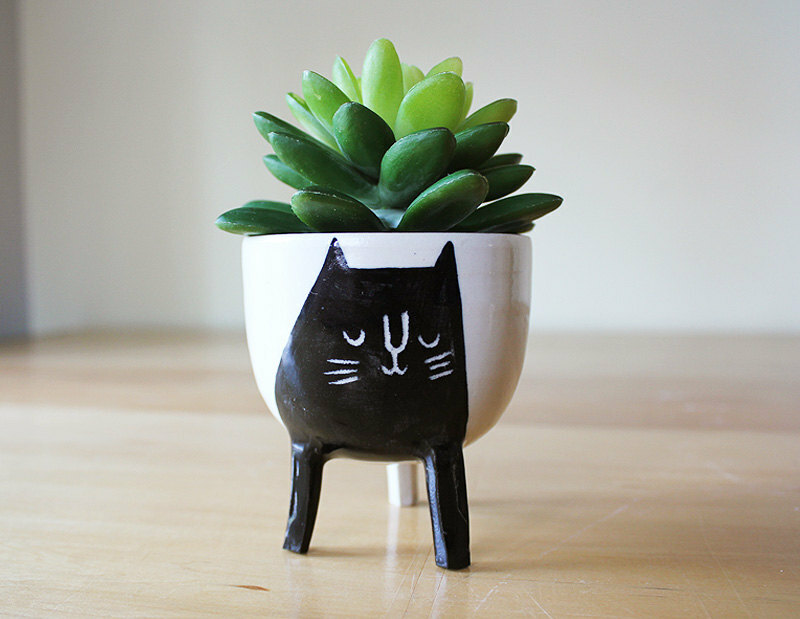 How cute is this handmade cat planter? For the feline lovers in all of us, this piece would make a great addition to your home, or even as a gift to cat-lover friends and family. It’s handcrafted in Canada using locally sourced materials and each planter is unique from the rest, making yours a one-of-a-kind item. 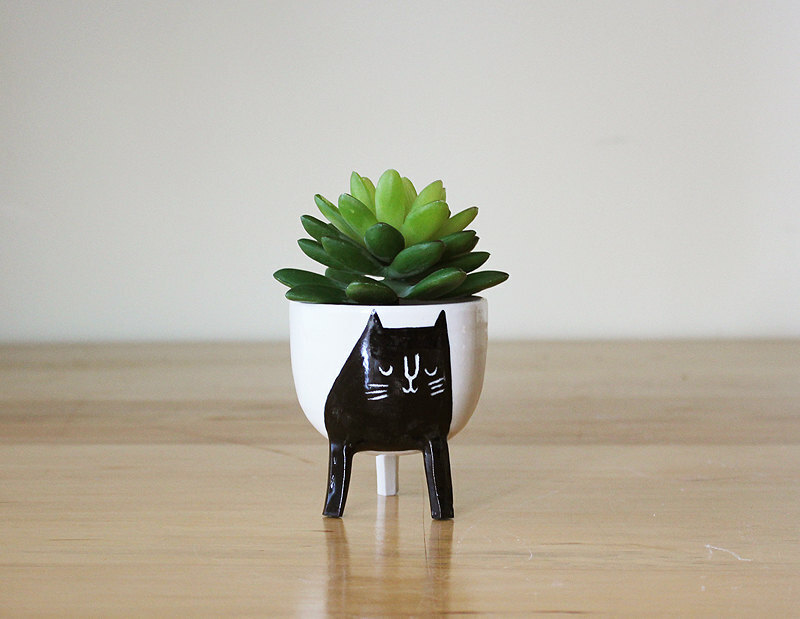 The kitty planter is run through a hefty firing process in the kiln to make it dishwasher safe as well as microwave safe and 100% non-toxic. Awesome! The designers at Beardbangs craft each piece to look like the cat’s arms are the two front legs of the planter itself, making it fun and adorable as well as quirky. 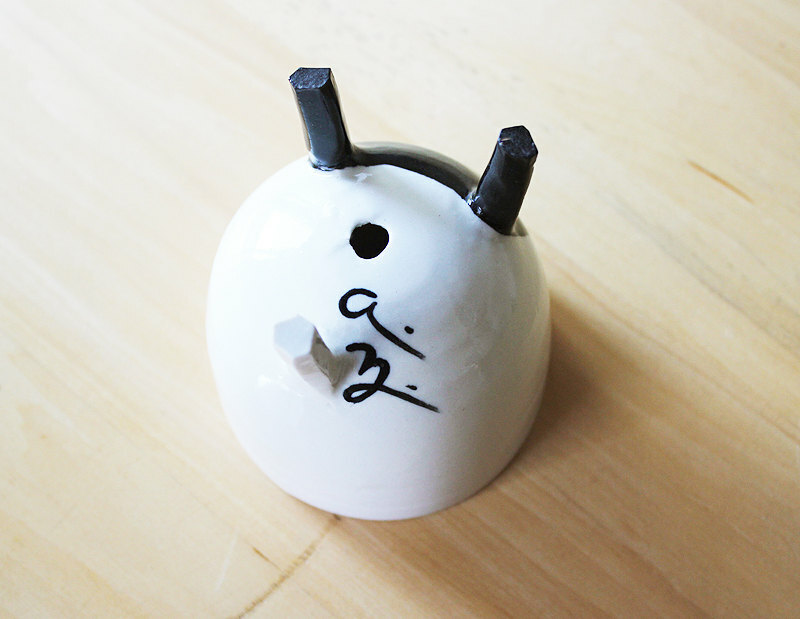 It comes equipped with a drainage hole at the bottom so it’s great for home grown herbs, succulents, and flowers. Not a cat person? Don’t worry they have dog planters, too. I’ll take three, please!